Quick Beauty Tips for busy Mommas! With a little naughty ones running around the house, we hardly get time to take care of ourselves , forget about going to beauty parlors and spas (though I feel, once in a while we should take a break and let the daddys do the duty). Its time we mommas should pause and spend some quiet time after putting those munchkins off to bed. These quick beauty tips will not only help you have a good night sleep but also a beautiful glowing skin without a lot of extra effort. Due to pollution and exposure to UV rays over time can cause significant damage to your skin and lead to various signs of premature aging like wrinkles, fine lines and a dull complexion. You can reverse this by taking good care of your skin and hair during the night. While you sleep, the skin repairs itself and with a little help from you, your skin will become even healthier. A proper nightly skin care routine will help improve your skin tone, make your skin glow, reduce blemishes, and hydrate and rejuvenate the skin. Simply give a few minutes to your skin each night and you will see improvement and enhanced beauty within a few days. Here are a few beauty habits you should follow at night. Irrespective of your busy schedule or whether you are extremely tired, you must take time to remove your makeup before going to bed at night. This is very important if you wish to keep your skin looking young and ageless. When you are sleeping at night, your skin repairs itself and the skin pores open up. But when there is a layer of makeup on your face like lipstick, mascara, foundation, highlighter and eye shadow, the pores get clogged. This results in spots, uneven skin tone and even acne breakouts. You can use a makeup remover, facial cleanser or cold cream to cleanse your skin and make it makeup free. 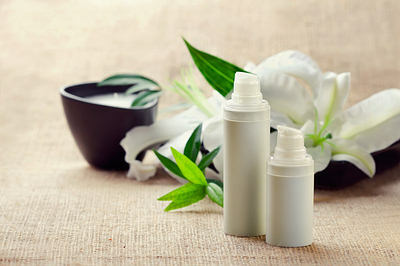 There are many different types of toner in the market for various skin types. If you want to use a natural toner, nothing is better than pure rose water that has hydrating, clarifying and energizing properties. Apply a small amount of toner to a cotton pad and simply wipe it over your entire face and neck area, and then let your skin air dry. It is best to use an alcohol-free formula. To keep your hands smooth and soft throughout the day, you need to take proper care of them at night. Wash your hands thoroughly with warm water and mild soap, pat dry with a towel and then apply a hand cream. 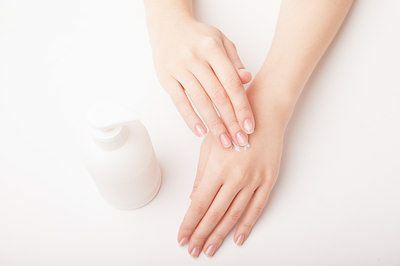 Use a thick, plain and a little greasy hand cream to keep your hands well moisturized during the night. This will help to your hands and fingernails look their best first thing in the morning. Also, it will keep your cuticles in good shape and prevent your hands from developing early signs of aging like sagging skin or wrinkles. Considering that the eye area is the first to show signs of aging, it is essential to take care of your eyes properly. First, you need to remove all your eye makeup. Then, apply an eye cream before going to bed. An eye cream can help moisturize, hydrate, de-puff, reduce dark circles, minimize the appearance of wrinkles and temporarily tighten the under-eye area. Use a lightweight eye cream with ingredients like caffeine, peptides, antioxidants and brighteners. Start applying it from the inner corners of your eyes and gently massage toward the outer corners. Once your dinner is finished, make sure to brush and floss your teeth before going to bed. This will help keep your mouth free from germs, cavities and infections. Also, it will help avoid serious morning bad breath. 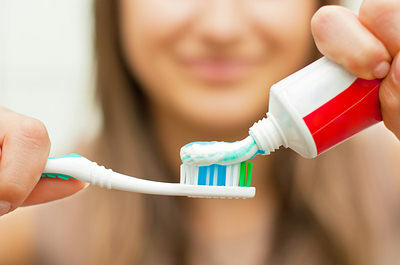 Use a soft-bristle toothbrush and fluoride toothpaste to brush your teeth for at least 2 minutes. Brush the outer and inner surfaces of your teeth. Floss your teeth and then rinse your mouth thoroughly with warm water. Do this daily before going to bed to enjoy a beautiful smile throughout the day. It is suggested to brush your teeth about 30 minutes after having your meal, especially after an acidic meal as brushing immediately after a meal may push the acid deeper into the dentin. As beautiful and healthy feet are true reflection of your beauty and personality, you cannot ignore them during your nightly beauty regimen. After washing your feet with warm water, pat dry them properly. Then apply some petroleum jelly or a foot cream on dry, rough skin on your feet to prevent cracked heels and make them soft. Cover your feet with socks and then go to bed. If you have time, massage your feet daily at night using circular motions for at least 5 minutes. This will help you relax and sleep better. Hope you find these tips handy and easy to implement to wake up to a fresh day. Home / Motherhood / Quick Beauty Tips for busy Mommas!